So, you’ve made the terrible mistake of mentioning your upcoming trip to Chicago, and now you’re being inundated with unwarranted travel advice from everyone and their sister. 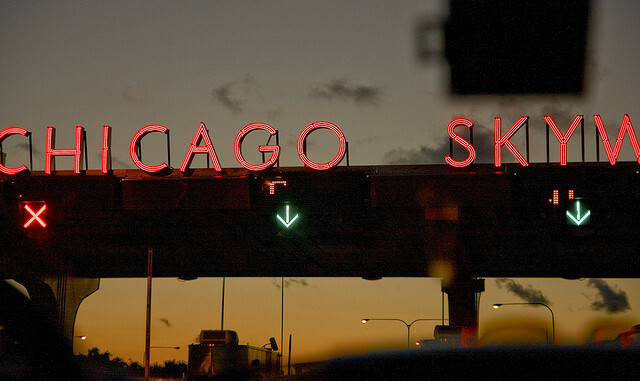 Between your best friend telling you that you’ve just got to try the deep-dish and your great uncle yelling, “Don’t forget to visit Sears Tower!” you’re not having the easiest time planning the unique, offbeat vacation you’d been hoping for. Tours have evolved quite a bit over the past few decades. No longer are vacationers content to trudge along with a large group, as they’re herded to famous landmarks by a monotonous tour guide. No, the tourists of today have cast off the metaphorical fanny packs that shackled their counterparts of yesteryear (the 90’s) and crave more excitement and thrills while exploring a new city. Just be warned, these are not your Grandma’s tours. You can learn a lot about a city from visiting its landmarks or reading the travel brochure, but how about through chowing down on its food? Every city has a food it’s known for. Philly has its cheesesteak, New York has its hot dogs and, of course, Chicago has its deep-dish! You’ll be amazed at how much culture and history you’ll soak up, while sampling all the delectable treats the city has to offer. Just be careful not to ask for ketchup on your hotdog, unless you want to incur the wrath of every hotdog vendor in the city. Sure, you could see Chicago by land OR you could take in some spectacular one-of-a-kind views, as you cruise along the sparkling waters of Lake Michigan. Just picture it: the tranquil sea breeze in your hair, a mimosa in hand, and a live band serenading you, all while you take in the beautiful city skyline. The best part is, you won’t be dreaming! Remember when you used to stay up late, as a kid, and take turns telling ghost stories with your friends? Well, this is a lot like that-except on these tours, the stories are even more terrifying, because they’re actually true! Every city has its dark side, and Chicago is no exception. With all its tales of gangsters, tragedies, and haunted alleys, you’ll want to save this tour for last, because you might just be too spooked to leave your hotel room, after. It’s a bird, it’s a plane-no, it’s you, as you freefall from 18,000 feet in the air above Chicago! No, you haven’t just had an unfortunate run-in with Bane. You’re just getting the ultimate view of the city, while experiencing the ultimate thrill of skydiving. Don’t worry if skydiving sounds just a little too extreme, though, because there are plenty of other great ways to get some thrills while out on the town. You could always look into options like a scenic hike, cycling, kayaking, or, even, rock climbing. Tours like these are sure to spice up the ol’ travel slides, huh? Whatever your interests, the perfect tour is out there; Whether it’s an art, architecture, film, or even bar tour (yes, this last one really does exist), there’s something for everyone. So, don’t be afraid to get a little creative the next time you’re in Chicago. As Robert Frost once said, “I took the tour less traveled by, and that has made all the difference.” Or something like that. Sadhana Daruvuri is a social media specialist at Vimbly. Vimbly is the fastest way to book thousands of activities, classes, and date ideas, and find activity times and reviews, all in one convenient place. You can follow Vimbly on Facebook, Twitter, Pinterest, Google+, and Tumblr.